I was fortunate to attend Microsoft’s Future Decoded last week and witness Microsoft UK, CTO, Michael Wignall’s talk on emerging technology. It was a vibrant and entertaining session of what will impact businesses and their customers in the coming years. Michael highlighted the three major innovations of Artificial Intelligence, Mixed Reality and Quantum Computing. He also defended the omission of blockchain which is surprising given Microsoft is pushing some boundaries with their Azure offerings and integration with 365 products. So, whilst we gaze starry-eyed into the future, this insight is about my thoughts on how, as a business, you might prepare; in what way you can participate and not just be a spectator as these fundamental technology shifts take effect. It might sound obvious, but the first advice I’d give to any CTO or CMO is to understand the principles and give it a go. Artificial Intelligence (AI) and its derivative, machine learning, will be sold to us over the next few years as the saviour to all our problems. We see this currently in start-ups who, by adding AI into their prospectus, are suddenly a cut above the rest. 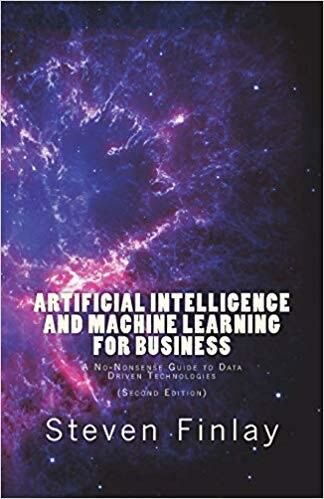 I started my understanding by reading Artificial Intelligence and Machine Learning for Business by Steven Finlay, a book that’s not only a quick read, but also great value. I certainly found that by knowing more about the techniques and principles of AI that I could more easily question the actual claims of some of the emerging products emanating from the marketing space. From there I had a go at building some machine learning models myself. I used Azure and kicked off using Azure Machine Learning Studio Documentation. Google, TensorFlow and IBM Watson also offer similar tutorials. The great thing is, it is fun! So, I would encourage you to do the same using resources from the world of modern online learning, including YouTube videos, pre-set tutorials and free sandboxes. I did this over a year ago now and this personal insight has been invaluable for making a more considered judgement on how Redweb as an agency should prepare for mainstream AI. After the fun tutorials the next hands-on step is to start to appreciate the machine learning services that already exist and are being delivered by the main players. Remember, technology is great but remains just that unless designers conceive ways to use it for good or advantage. They exist now and any business finding practical real-life reasons to begin to use these tools can say their AI journey has started. So, if you have responsibility for your company’s technology roadmap are you waiting until your competitors have proved their use of emerging technology, or do your success metrics also include your adoption journey to a more automated world? It might be worth fast-tracking that chatbot or Alexa project to ensure you’re ahead of the competition. By starting now, you still have time to make mistakes, apply what you’ve learned and place this technology in the hands or ears of your customers in a risk adverse manner. Once it becomes mainstream and the business drivers demand speed, the chances to get it wrong significantly increase. So, start now and you’ll be pushing an open door with the providers desperate for real life case studies, projecting your company as early adopters. Finally let’s discuss data. Big data is the fuel for machine learning and as an organisation you are collecting more and more. What advantage can be gained from this data? Are you collecting the correct data? Are you legally collecting it so it can be used for machine learning purposes? Understanding the ethics and the potential benefits to your customers in future years should be driving the question of how we (or the algorithm) will deliver that. The augmentation of the digital and real world is probably, in the eyes of the public, still positioned in the realms of Minority Report. The barrier of headsets or high-tech glasses, coupled with the unease of being recorded or analysed first-hand, means that, practically speaking, it has far more barriers to overcome than AI. However, in the realms of business applications, gaming and entertainment, people are much more relaxed to adapt. It is natural that Microsoft’s HoloLens will manifest itself on Xbox before going mainstream. In addition, the progress of mixed reality in manufacturing shows that as an educational companion the technology has found a niche area to evolve within. For businesses wanting to prepare for a mixed reality world, then like everything else it goes back to good ideas and practical applications. 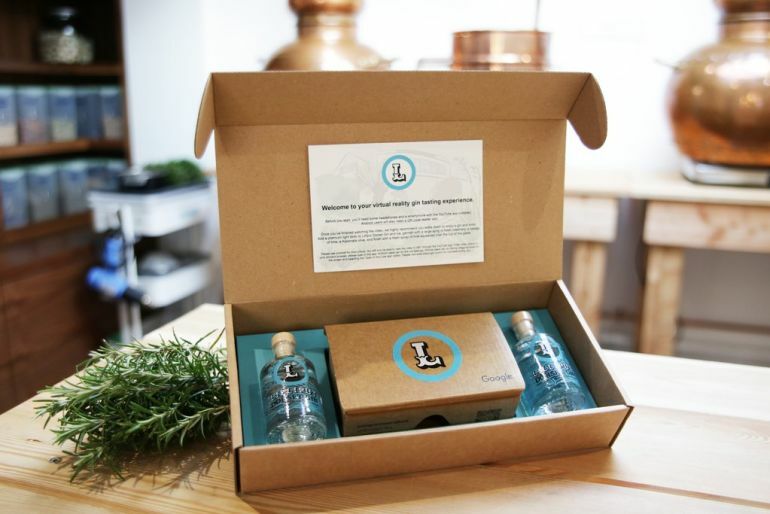 Although Virtual Reality (VR) and not Mixed Reality (MR), we are very proud of our work for Dorset Lilliput Gin. With our initial concept, strategy and guidance, we created a unique tasting experience to enhance the product of a local boutique distillery that sells nationwide. For the uneducated gin drinker, having the distiller himself tell you about the flavours and tasting notes whilst experiencing the scenery and natural environment of the ingredients, takes the product to a new level. But the clever thing with Dorset Lilliput Gin was to see the VR as a shared experience. With the 3D glasses sold with the gin in a gift pack, the buyer had not just a downloaded app but a means to a story they could share with friends; a talking point around the product that covered not just the gin and its manufacture, but the technology itself. For any larger organisations reading this, how is it that a boutique distiller can be making commercial headway in the VR/AR/MR space over businesses with greater capacity and budgets? I suspect this comes down to the fact that sometimes (from previous dealings with big corporations) the larger you are, the less ability you have to ‘play’ and everything undertaken needs to guarantee success and meet targets, so decision makers stay safe. In my opinion there is significant opportunity to capitalise on MR if seen as a longer-term plan. The key, like with AI, will be data. How will the information you know as an organisation add the value to the augmentation in a way that is intuitive and natural? How will you encourage someone to wear the tech and overcome the embarrassment because it gives them such an advantage? In the 2020s, we will have quantum computers that are significantly better than super computers today, but they most likely won’t be in mass use by governments and companies until the 2030s. Eventually toward the end of the 2030s and early 2040s they’ll shrink down to a size and cost viable for consumer use. So, on that note I’d suggest we just leave quantum computing to the scientists whilst we concentrate on AI and MR! If you need any help, our teams have already delved into VR for our clients and are exploring AI and MR and how this can be implemented into our clients’ strategies. We’d love to help you do the same in your organisation, if you don’t know where to start – get in touch with us: hello@redweb.com.